A few days ago, Genentech, a Roche Group member, announced that the US FDA approved Rituxan® (rituximab) for the treatment of moderate to severe pemphigus vulgaris (PV). It is worth mentioning that rituximab is the first FDA-approved biological therapy for PV as the first major advancement in the treatment of this disease for more than 60 years. PV is the most common type of pemphigus disease, resulting from the antibodies caused by the attack on keratinocytes in the immune system. Patients with PV can have increasingly severe and painful blisters on the skin or mucous membranes. It is a life-threatening disease with a mortality rate of 5-15%. The current standard treatment for this disease is the use of corticosteroid (CS) hormones or immunosuppressants to reduce inflammation. But a long-term use of corticosteroids can cause serious and potentially life-threatening side effects in patients, so these patients are in desperate need of new treatment options. 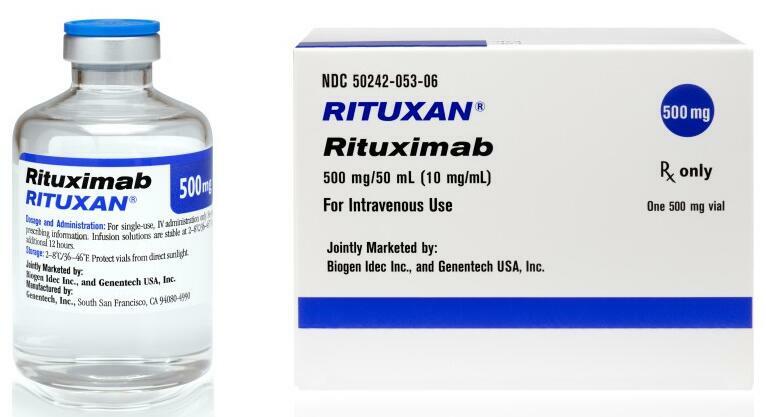 Rituxan, developed by Genentech, is a CD20 monoclonal antibody that kills cancerous CD20+ B lymphocytes and some normal B lymphocytes, initially approved by the FDA for the treatment of non-Hodgkin’s lymphoma and chronic lymphocytic leukemia. Later, Rituxan’s indications extend to autoimmune diseases such as rheumatoid arthritis. The FDA has granted the drug the qualifications of priority review, breakthrough therapy, and orphan drug for the treatment of PV. With the approval of this indication, Rituxan is now available for the treatment of four autoimmune diseases. The efficacy of Rituxan in the treatment of PV has also been confirmed in clinical trials. A multicenter, open-label and randomized clinical trial called Ritux 3 enrolled 90 PV patients who were randomized into two groups, one receiving Ritux 3 (EU-approved rituximab plus short-term CS) treatment, another group treated with CS alone. The primary study endpoint was complete remission at 24th months (without using steroids for at least 2 months). The results showed that 90% of PV patients treated with the Ritux 3 regimen reached the end point, while only 28% of PV patients treated with CS only reached the endpoint. These results support the efficacy of Rituxan in the treatment of patients with moderate to severe PV while reducing CS therapy. And it was published in the famous medical journal Lancet in March last year.